Thread: What’s your unpopular watch opinion? I thought this could be fun! The only Rolex steel model of any interest is the polar Explorer ii (and the newer one is nice and the older one isn’t). All the rest are dull. The best colour Nautilus is white, not blue. Yikes, you said "unpopular" - that opinion's so bad it's a war-crime. One Rolex is quite enough; and three mechanical watches in all, is quite enough. The Speedmaster is boring and mediocre. You need a slap if you wear anything other than a G10 or a diver on a NATO. Most prestige brands are wildly over priced - though most buyers of them are quite happy about this. Bell & Ross. The non-instrument watches are superb: original and distinctive with a certain elan. And: natos are for potatoes. 1. Patek Philippe has done nothing of merit for a decade or more. A once serious watchmaking company has become a pretentious, low-mid quality fashion house chasing Rolex down to the lowest common denominator of you-tuber wannabes. 2. Roger Smith watches are ugly and uninspiring. The man himself is in the lower ranks of watchmakers and lives purely on hype. Gluing two bits together is not re-inventing the coax escapement (which he still doesn’t have working properly). 3. Rolex should stop making stainless steel watches. It just cheapens the brand. Every time I put on a Rolex I look at it and think "meh" and swop it for a Panerai. Mechanical watch movements are pointless. Even bad quartz movements are better than the best mechanical. Yes that is true but there is something nice about mechanical watches. My only dislike is two tone, it just looks sooooooo trashy. What makes a man spend a small fortune to end up looking like a second class pimp. I like the look of a cyclops on a Sub, not that I'd ever own one! 3. I don't think I'd ever pay for a manufacturer's leather strap or NATO. If it comes with the watch then of course it is fine. Buying bracelets is also fine. But can't justify the prices for leather straps or NATOs when you can get nearly the same quality for a fraction of the price. 3)A combination of the above. Rolex gold fluted bezels look much better set off against a stainless steel background. There is far more pleasure in unusual run of the mill watches than luxury watches. Helvetias are much more desirable than their Omega cousins. I am not 5 years old; therefore I do not need numbers on a dial. I can work it out just fine, thanks. I'm seriously enjoying this thread!!!! I prefer Omega watches over Rolex watches. I like quartz as much as mechanical movements, provided they are of similar quality, and wish more higher end manufacturers gave this option. A two or three watch collection is ideal. I love my more "luxury" ones but I have really got into Micros in the last year/18 months. Allows so much variety for a vastly cheaper price than just one luxury watch and some serious quality too. Just the 2 from me. I give slightly less of a monkeys about the + or minus seconds per day accuracy of any of my mechanical watches as long as they aren't wildly out. 1- I see no particular reason why a Swiss factory would automatically be better than the same factory in China, for instance when making a bracelet. They seem to able to make iPhones pretty well. It just depends on the factory in question. 3 - The 16570 was the last reasonably appealing Rolex with the exception of the 36mm DJs and OPs, and even they used to look better. The black and white Oyster Perpetual 39s and possibly Explorer would be their best current watches but are very slightly too big. 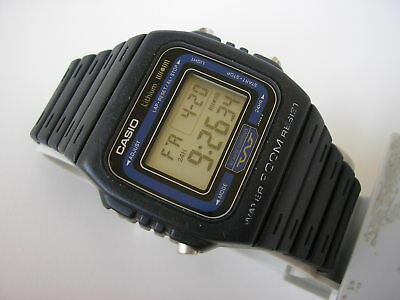 9 - I have never wanted a Sub (though I'll admit battered old ghost bezel maxi dial ones are cool). Its no coincidence that breitling rhymes with eye sting, as their overly busy watches make my eyes water from straining to look at all that information. NATO straps are overrated and ugly. Watch should be serviced only when there is problem. Any watch over 45mm looks big on any wrist. Tudor watches are as dull as ditchwater. Nato straps (regardless of what they are attached to) are hideous. Most of the best watch designs came from the 70's. Probably a far from unpopular opinion if you stretch to 60s / 70s. I think it would be more unpopular to say that the 70s two most iconic designs - the Royal Oak and its laughable little brother - are absurdities that are only rendered socially acceptable by the quality of their execution and prestige of their branding. I love my airking, the yellow and green really stand out and with the green seconds hand, it livens up what could be a really boring watch. I really don't like snowflake or Mercedes hands. And those with really big arrow heads on the ends too. No Seamaster will ever be as good as the Submariner, and no Daytona will ever be as good as the Speedmaster. 3) The obsession with beat-up, unpolished cases, knackered dials and crumbling handsets is unfathomable to me. Not one I've seen, but I'll bow to your knowledge that they're identical in all but model number! Unless they've improved on it in some way in your opinion? Last edited by hughtrimble; 11th February 2019 at 15:48.
hmm, not sure I agree. Just another case(s) to me. unpopular brand on here, but CW, they are doing interesting stuff now, like their own in house movements, and some nice new striking watches, below Bremont's pricing. I much prefer dress watches over any type of divers watch. If I ever need to swim more than 12 feet below the surface of the water than a cheap Casio is good enough. Disclaimer to above I wouldn't say no to the Black Bay 58. The Nautilus 5711 does nothing for me. In fact, I don’t see why anyone would buy a Patek without a complication. The Rolex Daytona looks like one of the cheaper Tags. I have an aversion to Speedie Pro. Never owned one, never will. Omega watches are better in almost every way than Rolex watches. oh, and a Nautilus looks cheap. I have never encountered a Rolex that I've actually wanted to acquire. The Great Seiko Alignment Issue doesn't bother me remotely. I am profoundly in love with high accuracy quartz (put my Bulova moonwatch on for the first time in months, this weekend: it was absolutely spot-on). I like the Apollo heritage of the Speedmaster and try as I might, I can't find it cheesy or over-played.